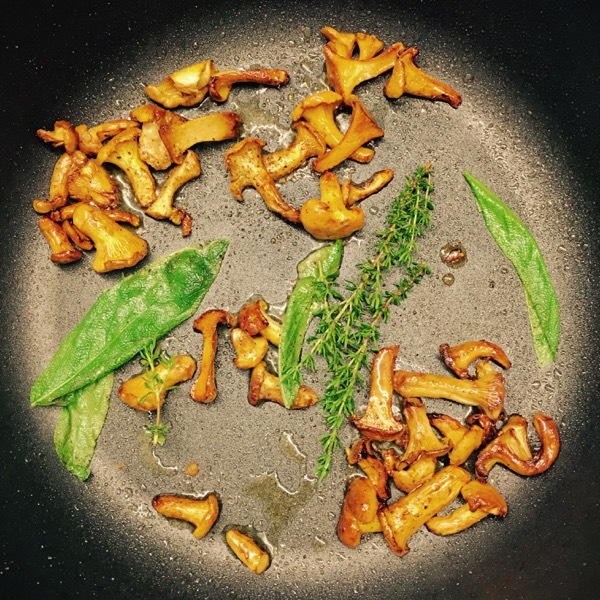 Posted on June 15, 2016 by Mara L.
Risotto Ai Gallinacci, By Mara L.
The cooking stars align: I have a well-equipped kitchen at my disposal, no one else competes for the role of chef, and little stores nearby sell first-rate groceries from local farmers. It took me a few days to realize how much of an opportunity this is. Then I asked Jens whether he can be around for a bit and photograph what I’m cooking. 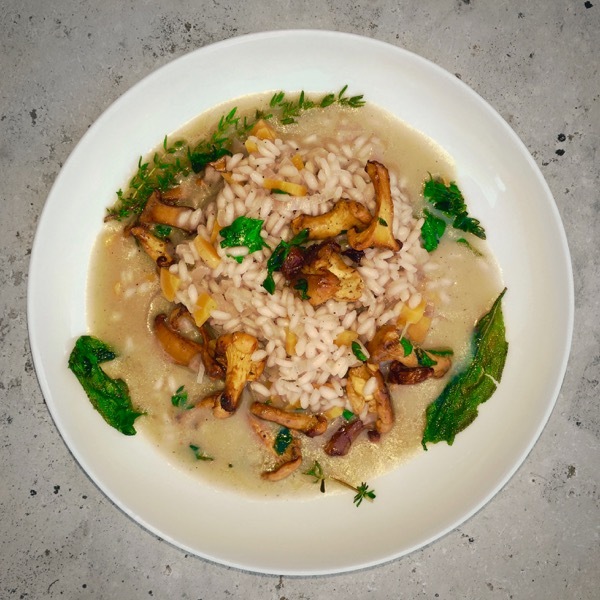 So here we go, risotto with chanterelle mushrooms (in Italian: gallinacci, cantarelli, galletti) goes first. 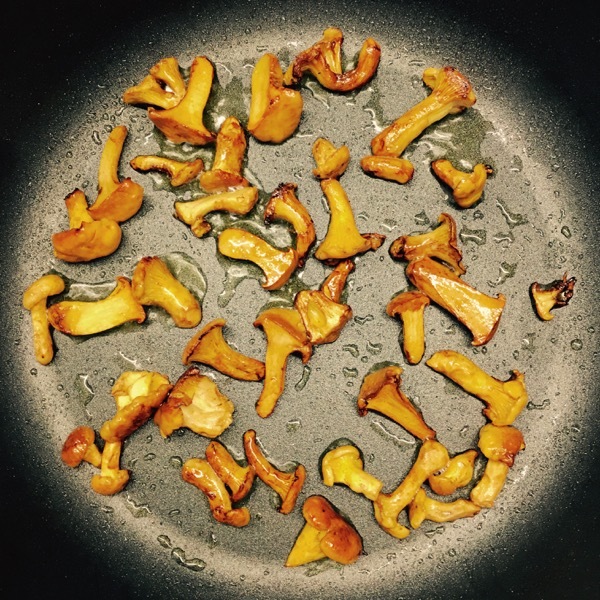 The trick to preparing them well is to wash them carefully, dry them on kitchen paper, and to resist the urge to turn them around while you’re sautéing them—not forever, but almost for longer than feels right. You’ll need them nicely golden on one side before you turn them, and ideally you turn them individually. Only then you add salt and pepper along with sage and thyme and parsley. The risotto is otherwise really simple. I was heating the rice in olive oil with some shallots and carrots, using a bit of left over red wine for added aroma. I’m not a terribly traditional risotto chef. I’m using a lot less butter than others say one should, just a tiny bit at the end when I’m adding also parmigiano. Most of the mushrooms go into the rice a minute or so before it’s all done. The rest—ideally, some especially pretty ones—are placed on top when you’re serving. Next PostNext Bistecca Di Cervo, By Mara L.